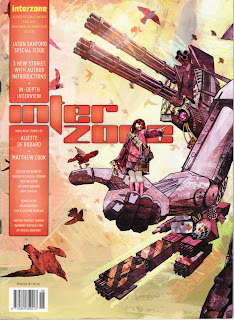 The nominees for the 2011 Hugo Awards and for the John W. Campbell Award for Best New Writer have been announced. The winners will be announced on 20th August, at the Hugo Awards Ceremony held at Renovation, the 69th World Science Fiction Convention, held in Reno, Nevada. On November 22, 1963, three shots rang out in Dallas, President Kennedy died, and the world changed. What if you could change it back? Stephen King's heart-stoppingly dramatic new novel is about a man who travels back in time to prevent the JFK assassination - a thousand page tour de force. 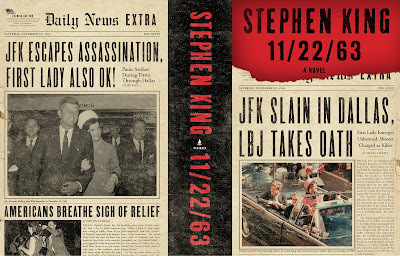 Following his massively successful novel Under the Dome, King sweeps readers back in time to another moment - a real life moment - when everything went wrong: the JFK assassination. 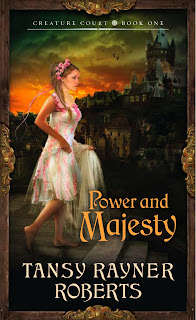 And he introduces readers to a character who has the power to change the course of history. Jake Epping is a thirty-five-year-old high school English teacher in Lisbon Falls, Maine, who makes extra money teaching adults in the GED program. He receives an essay from one of the students - a gruesome, harrowing first person story about the night 50 years ago when Harry Dunning's father came home and killed his mother, his sister, and his brother with a hammer. Harry escaped with a smashed leg, as evidenced by his crooked walk. Not much later, Jake's friend Al, who runs the local diner, divulges a secret: his storeroom is a portal to 1958. He enlists Jake on an insane - and insanely possible - mission to try to prevent the Kennedy assassination. So begins Jake's new life as George Amberson and his new world of Elvis and JFK, of big American cars and sock hops, of a troubled loner named Lee Harvey Oswald and a beautiful high school librarian named Sadie Dunhill, who becomes the love of Jake's life - a life that transgresses all the normal rules of time. As much as I would like to bring my reviews back on track the truth is I am a bit behind with them. Still, the good news is that two of them are already half written, David Wingrove’s “Son of Heaven” and Aliette de Bodard’s “Servant of the Underworld”. 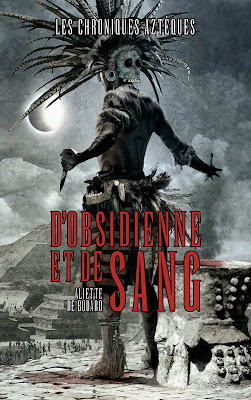 I am especially happy about “Servant of the Underworld”, because yesterday I saw on Aliette de Bodard’s blog an awesome cover for the French (which else?) 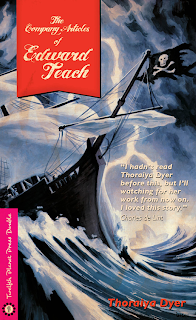 edition of her debut novel. I did like the cover of the English edition of “Servant of the Underworld” published by Angry Robot Books, simple, symbolic and efficient. But the cover of the French edition, “D’Obsidienne et de Sang”, looks wonderful and equally efficient. 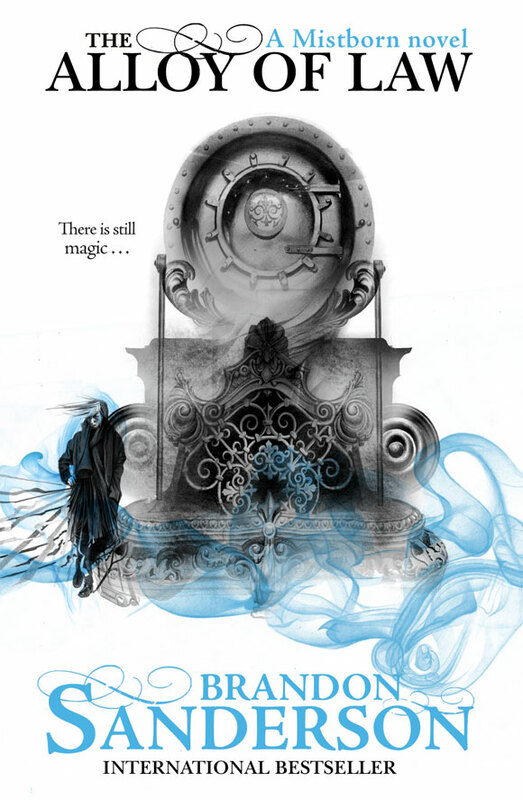 It is hard for me to choose between the covers of Aliette de Bodard’s “Servant of the Underworld”, because I like both of them a lot, but I do love the approach taken by Eclipse, the publisher of the French edition, too. 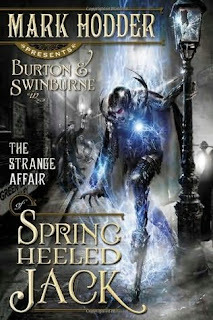 Not only that this cover would make me pick the book if I see it on a bookshop shelves, but since I read and enjoyed the novel I find the artwork made by Larry Rostant, the master of photographic covers, suitable for “Servant of the Underworld”. 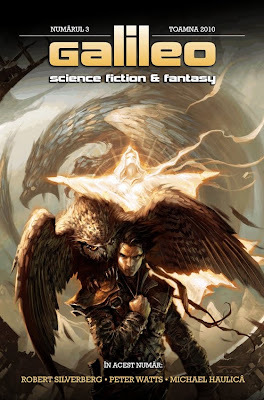 And since Aliette de Bodard indicates on her blog post that Larry Rostant will create the covers for the rest of her trilogy I am looking forward to see with what the artist comes up next. The list of nominees for the first edition of the Galileo Awards has been announced. From today the list of nominees will be voted in the Australian system, with one title eliminated from the list at each stage and with the winners due to be announced at the National Book Fair, Bookfest, on 28th of May. 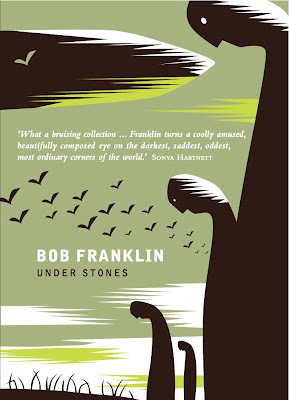 The nominees for the 2010 Shirley Jackson Awards have been announced. The winners will be announced at Readercon 22, which will be held between July 14th and 17th at Burlington Marriott, Burlington, Massachusetts. I find myself in the impossibility of talking about Marc Simonetti’s artworks anymore. Not because I don’t like the art pieces Marc Simonetti creates, but because the constant high standard of his works leaves me speechless. He is always surprising and with each art piece he seems to achieve something more. 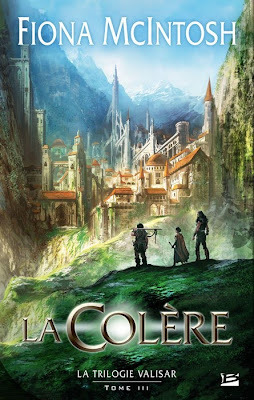 We’ve seen before how Marc Simonetti enriched the French editions of various fantasy novels by creating some wonderful cover artworks; I’ve spotlighted a few of them, such as George R.R. Martin’s “A Song of Ice and Fire”, Patrick Rothfuss’ “The Name of the Wind” or Ken Scholes’ “Lamentation” & “Canticle”, here on my blog too. Now we can see another excellent one. The French editions of Fiona McIntosh’s trilogy, “Valisar”, published by Bragelonne, reached the third novel, “King’s Wrath”, and as we can see, “La Colère” as is the French title, has a stunning cover artwork, signed Marc Simonetti. As I said at the beginning I found myself without words, but I still have a wish: some day to see Marc Simonetti’s works on the cover of English editions too. I didn’t set many resolutions at the beginning of this year since lately I mostly failed to achieve them. However, one in particular started well so far and promises to be fulfilled, even over passed. It is my desire to read more short fiction this year and I already did, although the time didn’t allow me to review what I read yet. It is mostly online short fiction, but I also read two anthologies, that hopefully I will be able to review soon. Also, I already spotlighted a few more upcoming wonderful anthologies here on my blog and at the end of the year will make a review of all of them and see what I managed to achieve with them. 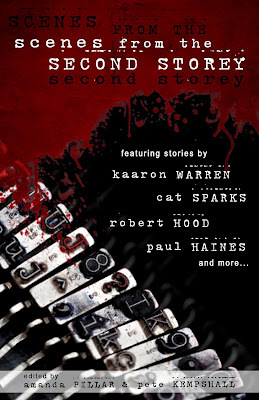 Until then, here is another anthology that looks very well and I put on my wish list for 2011. “New Cthulhu: The Recent Weird” edited by Paula Guran sounds really well, more so because H.P. Lovecraft is one of my loves when it comes to reading. I love H.P. 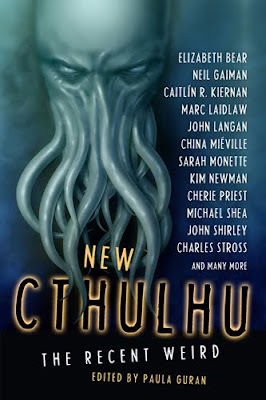 Lovecraft’s works and seeing what “New Cthulhu: The Recent Weird” has in store it only makes me to eagerly look forward to Paula Guran’s new anthology. “New Cthulhu: The Recent Weird” will be released by Prime Books on November and joins a list of excellent looking anthologies due to be released by the same Prime Books in 2011. For more than eighty years H.P. Lovecraft has inspired writers of supernatural fiction, artists, musicians, filmmakers, and gaming. His themes of cosmic indifference, the utter insignificance of humankind, minds invaded by the alien, and the horrors of history — written with a pervasive atmosphere of unexplainable dread — today remain not only viable motifs, but are more relevant than ever as we explore the mysteries of a universe in which our planet is infinitesimal and climatic change is overwhelming it. In the first decade of the twenty-first century the best supernatural writers no longer imitate Lovecraft, but they are profoundly influenced by the genre and the mythos he created. New Cthulhu: The Recent Weird presents some of the best of this new Lovecraftian fiction — bizarre, subtle, atmospheric, metaphysical, psychological, filled with strange creatures and stranger characters — eldritch, unsettling, evocative, and darkly appealing . . . Looking over the past year I see that I have to catch up on a few things. Among them, my readings fell heavily behind, with a few titles that I really wished to read at their release time, but due to some reason or another I failed to do so. One of such titles is Jasper Kent’s “Thirteen Years Later”, the second novel in his “Danilov Quintet”, because I loved “Twelve”, the novel with which Jasper Kent kicks off his series. 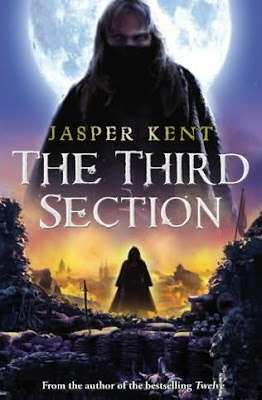 I really hope that I will manage to get back on track with my readings, “Thirteen Years Later” one of the priorities, especially since Bantam Press will release Jasper Kent’s third novel, “The Third Section”, on August. Now, we can see the cover of “The Third Section”, one that I am pleased to find that follows the line imposed by the first two covers. I like when a series follows a similar line on the covers, it gives it a sense of completeness and solidity. This is the case with all the Jasper Kent’s novels in the “Danilov Quintet” so far, three covers in a similar fashion, with a mix of historical and supernatural feelings that can be discovered between the covers as well. It is a series of covers that appeals highly to me. Here is a blurb for Jasper Kent’s “The Third Section”, another motive for me to be anxious in catching up on the “Danilov Quintet”. Also, if these are not enough, on Jasper Kent’s website we can read the prologue of “The Third Section”. China Miéville is easily one of the writers who made a clear impact on my reading experience lately and became one of my favorite authors. 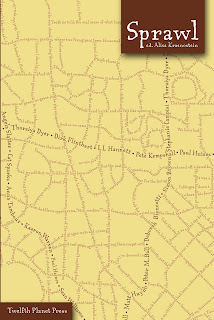 Therefore one of my most anticipated releases of 2011 is his latest novel, “Embassytown”. 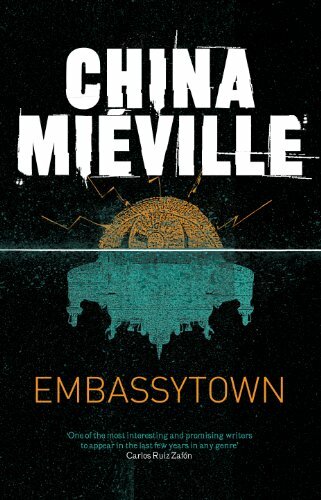 The novel will be released by Pan Macmillan on 6th of May and with this occasion the publishers will also release new editions of China Miéville’s books with re-designed covers to match the one of “Embassytown”. 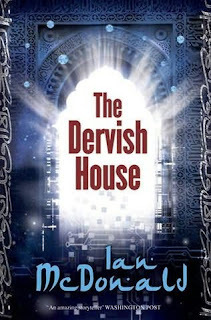 I do find the new covers very appealing and I really like the effort Pan Macmillan put behind these series of covers. Now, I should not reveal this information, because it will decrease my chances of winning, but I don’t believe it is much of a secret. I am only joking, but not about the competition. 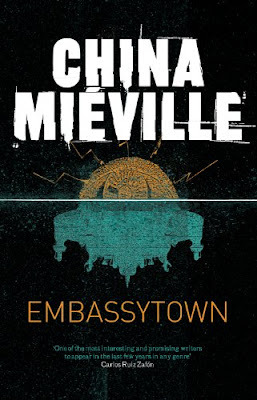 On the Book Depository there is competition that runs until the publication date of “Embassytown”, 6th of May, in which we can win a print of the cover of our choice, from the new designed ones, signed by China Miéville and the artist. If the prize sounds appetizing all you need to do is answer 5 questions about China Miéville for a chance to win it. I already did :D You can find full details of the competition and the questions on this Book Depository page. Good luck to all! Three new arrivals lately in my mailbox. Adam Nevill’s “The Ritual” sounds very appealing and it is one of the novels I am looking forward to read. Now is my chance, but not before tackling the other two novels of Adam Nevill which I have in my personal library, “Banquet for the Damned” and “Apartment 16”. 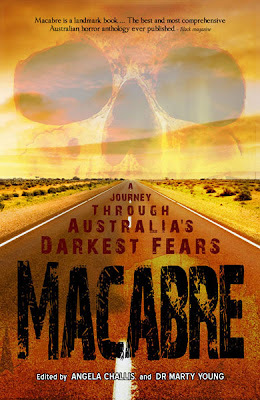 Hopefully I will manage it before the publication date of “The Ritual” or around it. Steven Erikson’s series still lies unread on my bookshelves, with the exception “Gardens of the Moon”. My plans of reading “Malazan Book of the Fallen” series failed miserly. But with the arrival of “The Crippled God” I hope that I will get my final push for reading the entire Steven Erikson’s series. I am keeping my fingers crossed. Norman J. Lafave’s “Nanomagica” comes with an interesting concept and although I am a bit reluctant lately towards small press titles, due to a recent series of unfortunate encounters, I hope to give “Nanomagica” its deserved chance. With limited fitness and experience between them, a shortcut meant to ease their hike turns into a nightmare scenario that could cost them their lives. Lost, hungry, and surrounded by forest untouched for millennia, Luke figures things couldn’t possibly get any worse. But then they stumble across an old habitation. Ancient artefacts decorate the walls and there are bones scattered upon the dry floors. The residue of old rites and pagan sacrifice for something that still exists in the forest. Something responsible for the bestial presence that follows their every step. And as the four friends stagger in the direction of salvation, they learn that death doesn’t come easy among these ancient trees . . .
By 2088, genetic engineering and nanotechnology have merged to create a near Elysian existence. Mankind is on the brink of immortality – disease, famine and pollution have been eradicated using this new technology – with seemingly magical results. Behind this perfect mask, however, lurks a hidden threat – revealed by puzzling, apparently random tragedies. 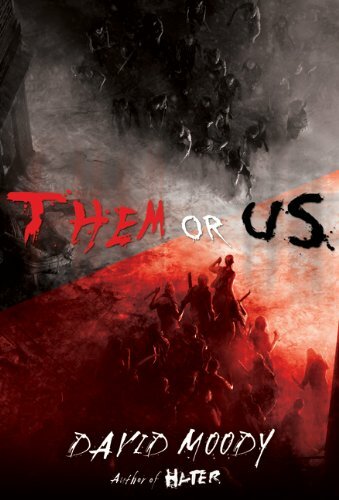 Chicago Police Inspector Robert Nazio and the brilliant Greg Gilroy, an anarchist and master hacker, find themselves thrown together at the center of an international crisis filled with twists, turns and technology gone awry. 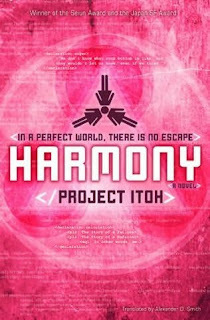 Assembling a super team of intelligence experts, the investigation quickly evolves into a race to save the Earth from a diabolical threat that seems to be everywhere at once – infiltrating governments, corporations and research laboratories seemingly at will. Nazio and Gilroy’s only hope seems to lie in two Renaissance Festival throwbacks - illusionists who have magic of their own. With paradise collapsing, who will win the battle - technology or magic? 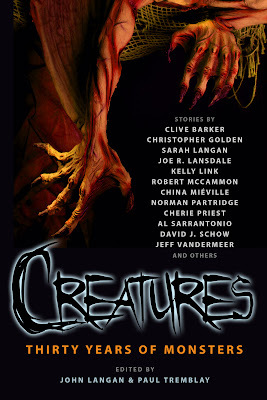 After finding out about one anthology dedicated to monsters, Christopher Golden’s “The Monster’s Corner”, I recently discovered yet another very interesting one, “Creatures! Thirty Years of Monster Stories”. In my almost daily wanders around the Internet I found that John Langan and Paul Tremblay edited a new anthology featuring monster fiction and due to be released by Prime Books in November this year. 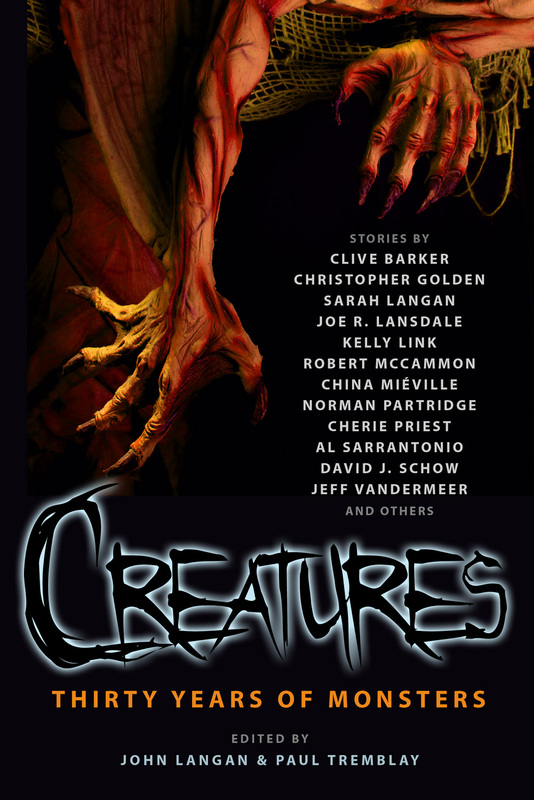 I have to say that not only that the John Langan and Paul Tremblay’s anthology sounds interesting, but also the authors line-up looks very appealing, with some of the heavy names of speculative fiction present with stories on “Creatures! Thirty Years of Monster Stories”. With such a strong Table of Contents November seems so far away, but until then we can keep up to date by visiting the blog dedicated to the anthology edited by John Langan and Paul Tremblay. 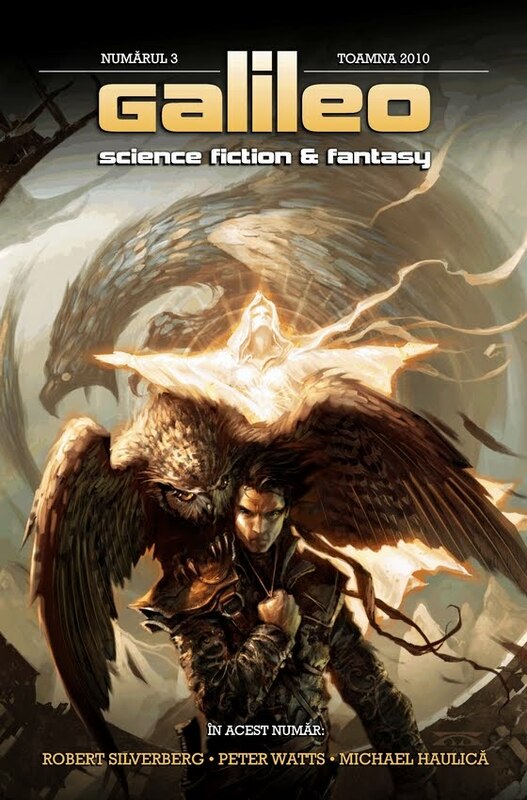 Some of the most interesting cover artworks I’ve seen are featured on Brandon Sanderson’s novels. And although I am not exactly a fan of the covers for the paperback editions of his “Mistborn” novels released by Tor Books, the ones on the hardback editions are very interesting. However, seeing on Aidan’s A Dribble of Ink and Adam’s The Wertzone blogs the UK cover for the upcoming “The Alloy of Law”, it got me thinking at the series of covers for the Gollancz editions of Brandon Sanderson’s novels. Looking simple compared with the US editions, but equally efficient, these strokes of brush and bare touch of color work very well for me. It proves that a minimalist concept can work wonders on a cover of a novel as well. Brandon Sanderson’s “The Alloy of Law” will be released in the US on 8th November by Tor Books and in the Uk on 17th November by Gollancz. Congratulations and good luck to all the initial nominees!